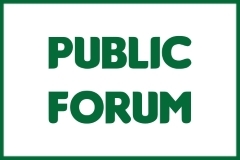 The SW480 Family Violence class of the Social Work degree program at the University of Guam will be hosting a public forum about ending sexual misconduct on college campuses. 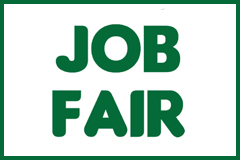 Job seekers island-wide are invited to attend the University of Guam Job Fair, hosted by UOG's Career Development Office from 9 a.m. to 2 p.m. on Wednesday, April 24, at the Calvo Field House. 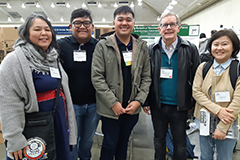 The University of Guam Theatre is bringing Pulitzer Prize-winning playwright Edward Albee's "Who's Afraid of Virginia Woolf" to the stage this May. 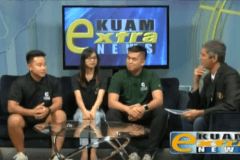 In this April 17 interview on KUAM News Extra, host Jason Salas speaks with UOG's Student Government Association representatives about the inspiration and planning behind UOG's first-ever Tritons Out Loud - Diversity Day event coming up on April 26. 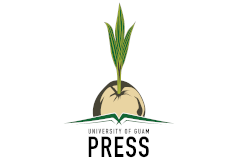 The University of Guam Triton Athletics Department and PBS Guam are partnering to bring live basketball to television in Guam as well as Saipan, Rota, and Tinian in fanuchånan 2019. 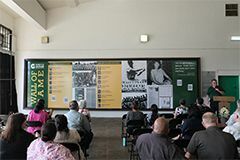 Wall of Fame on April 16, 2019, at a ceremony in the UOG Calvo Field House lobby to honor UOG Athletics Hall of Fame members. 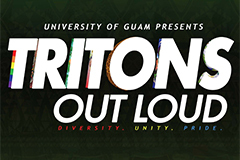 The University of Guam's first-ever Tritons Out Loud - Diversity Day will be held from 6 p.m. to 10 p.m. on Friday, April 16, at the Calvo Field House.